Salome started selling vegetables from a small stand in Iringa, Tanzania. Thanks to training and three small loans from a Five Talents partner, she has grown her business into a vegetable market and then started a tailoring service. With increasing profits and a diversified business, she no longer has to worry about cash flow problems for her farming activities. And with the additional funds, she has built her own home! 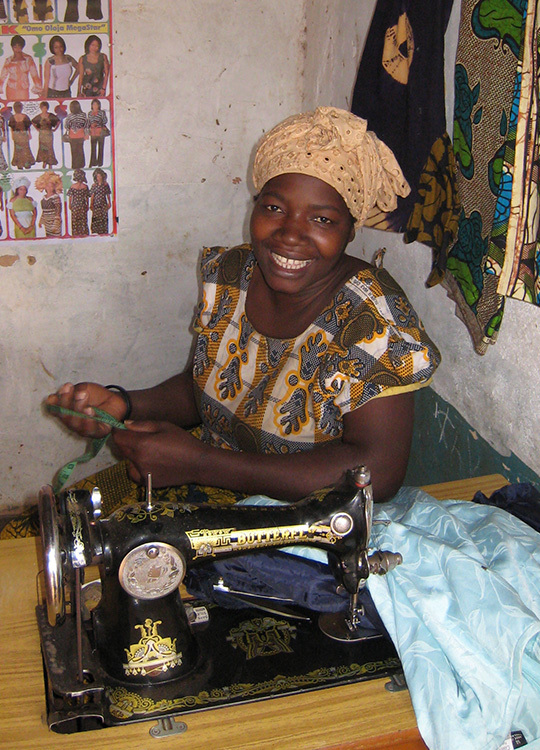 Salome is just one of over 100,000 entrepreneurs and their families who have benefited from the ministry of Five Talents.